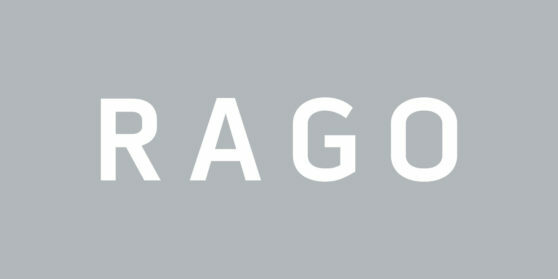 Rago is a leading U.S. auction house with $30 million in annual sales. We serve thousands of sellers and buyers internationally with a singular blend of global reach and personal service. A world-class venue through which to buy and sell, we hold auctions and sell privately. We offer insurance valuations and appraisals for personal property; estate services from appraisal to auction and clean out; exhibitions and lectures in house and online. Rago is based in New Jersey, midway between Philadelphia and New York City.